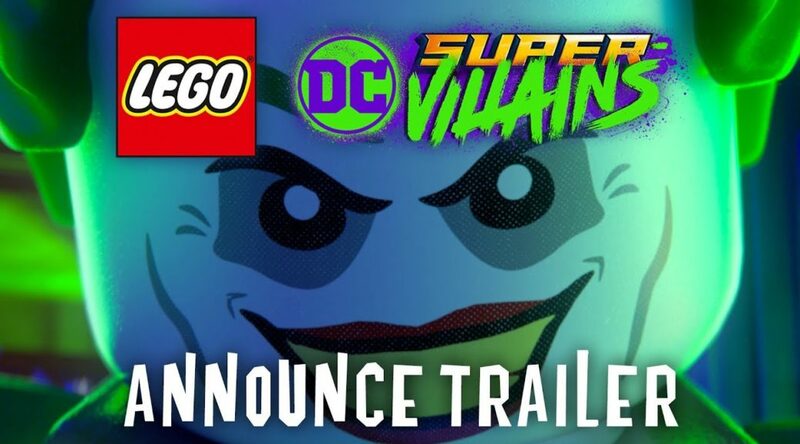 Warner Bros. Interactive has announced it’ll be putting out demo stations for LEGO DC Super-Villain at Comic-Con 2018. Besides the live demo, fans will get to meet the creators and voice actors of the game and receive autographs from Kevin Controy and Tara Strong. Full details below. Talent Poster Signings – Kevin Conroy and Tara Strong will be at the DC Comics booth (#1915) after the panel from 3:30 – 4:30 pm (on July 20) to sign memorabilia. Fans can register in advance through the website to enter a lottery for wristbands for the signings. Villain/Villainess Stage Walk – Whether you’re a Joker, Harley Quinn or another member of the DC Super-Villains family, now’s your chance to show off your killer cosplay outfit at the Villain/Villainess stage walk on July 20 at 5:30 pm at the DC Comics booth (#1915). Live Demo and Hands-On – The game will be playable at the LEGO booth (#2829), DC Comics booth (#1915) and the WB Booth (#4545) during normal show hours. LEGO DC Super-Villains will be available for Nintendo Switch beginning October 16, 2018.